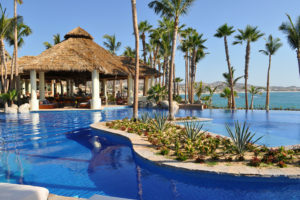 After Hurricane Odile struck the One&Only Palmilla in 2014, the luxury resort’s management and ownership was faced with replacing nearly 1,000 palm trees as advised by a local contractor. Instead, SKS Studio recommended a specialized care approach that resulted in saving all but a few of the palms. Not only were the trees restored, but also the existing landscape’s canopy was reestablished at a drastic cost savings. Resorts and municipalities in hurricane zones have plans in place to protect people and structures in the event of a hurricane. While guests and residents can be sheltered and windows boarded, little can be done to protect the property’s landscaping, which is left to withstand hurricane force winds, torrential rain and salt water storm surges. Once the storm passes and the safety of guests or residents is secured, cleanup and recovery efforts are quickly underway to restore the grounds to their original beauty. Immediate site cleanup involves clearing toppled trees and broken branches that pose a danger to people. Once the area is free of hurricane debris, the real restoration of your landscaping begins. The most important thing to remember about your landscaping is that it is far more resilient than you think. For landscaping to bounce back to normal, patience isn’t just a virtue. It’s a necessity. The patience required in order to see landscaping reach a full recovery is great, especially when some contractors are instantly and adamantly insisting that the plants and trees needs to be replaced. 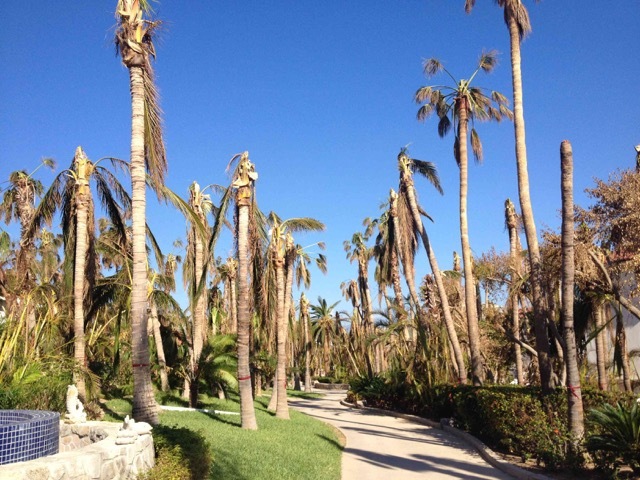 Having saved nearly a thousand palm trees from being completely replaced at the recommendation of a contractor when Hurricane Odile devastated the One&Only Palmilla in Los Cabos, Mexico, we know the best course of action is to take a “wait and see” approach. 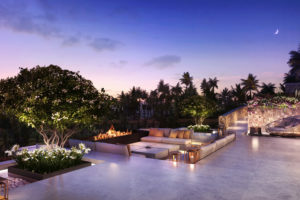 By giving the luxury resort’s palm trees and landscaping specialized care and time to recover, we were able to keep the grand total of palm trees lost to just a few. Not the 800 to 1,000 the resort’s managers and ownership expected at first evaluation by a contractor. 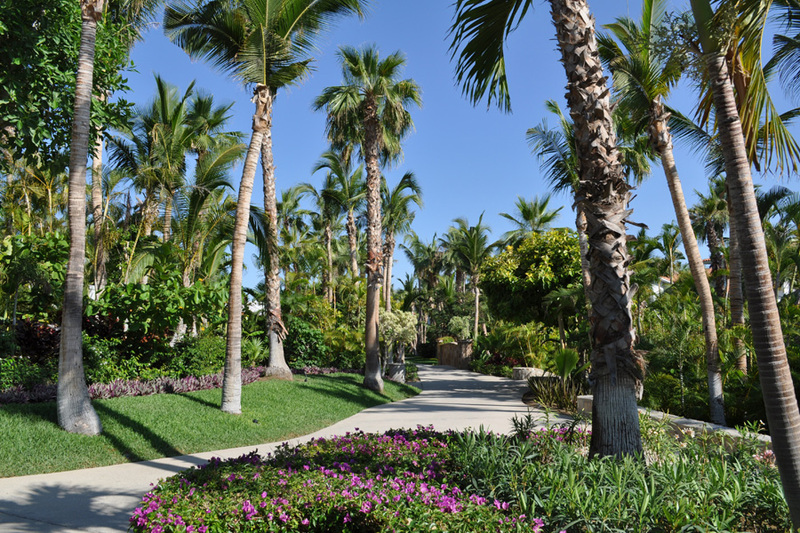 Time and special care resulted in a huge cost savings for the One&Only Palmilla, plus it was the environmentally responsible thing to do and reestablished the existing canopy of the landscape. While immediate response is to cleanup and replace, if cared for and left to regenerate, landscaping is very likely to make a full recovery. Remember, palms and other warm weather plants are indigenous to hurricane prone regions. They are resilient in the face of storms, and have grown wild in these areas for thousands of years in spite of destructive hurricanes. Landscape should undergo an aggressive pruning post-hurricane. While perhaps not as aesthetically pleasing as replacement, pruning expedites the recovery process. Palm trees’ nuts should be drastically pruned and treated with a fungicide application. Unless a palm tree is broken in half or uprooted, let nature take its course after pruning and treating. This tactic worked at the One&Only Palmilla, and it can work for you. Hurricane winds and ensuing storm surge can inundate plants with salt water, which causes plant and tree leaves to burn and turn brown. In other words, the landscape appears dead, which flusters resort managers and municipality officials. Instead of panicking, flush the landscape with as much fresh water as possible to leach salt. Trees fall over under the stress of hurricane winds and can uproot hardscape and causing structural damage. Once the hardscape is cleaned up for safety, an intensive restoration can begin, which opens the door for enhancing and upgrading your hardscape systems. Associated damage to hardscape might fall under the resort or municipality’s insurance coverage, though landscaping itself is typically not covered under an insurance claim. If your hardscape is covered, this is an opportune time to refresh and update. Irrigation systems and lighting are often storm victims, easily sustaining damage during a hurricane. They also represent two aspects of your hardscape that when updated brings long-term efficiency and cost savings. Update your lighting to LED if you haven’t already done so. Lower wattage LED lights are more energy efficient when compared to incandescent and halogen. They shine brighter, which better illuminates your grounds. Plus, LED lamps are reliable and longer lasting, reducing the time and resources used replacing bulbs. Install an efficient drip system for irrigation, which delivers water directly to your landscaping’s roots. A drip system allows water to seep slowly into the soil. Since plants and trees are watered at the root level, water is not wasted via runoff or evaporation. Drip irrigation brings measurable cost savings on water expenses compared to sprinkler systems. Patience with landscape and updating hardscape after a hurricane is how resorts and municipalities preserve and keep the bones of their infrastructures intact versus tackling the expenditure of a total restoration. The goal is to quickly get staff back to work and draw guests or residents back to the area. Invite experts to your site with specific experience in landscape preservation. Beware of those too quick to replace landscape in its entirety. Instead partner with a landscape architect with a record for achieving quick re-openings and watching budgets.